My sweet Sol and Kate. Can you relate to my “Sol experience”? It’s all about the art of dog walking. My preference is with my sweet Border Collie Kate. It is a tranquil time of reflecting through the wooded trail behind our home. Now it has become a “Sol experience”. What is a Sol experience you ask? 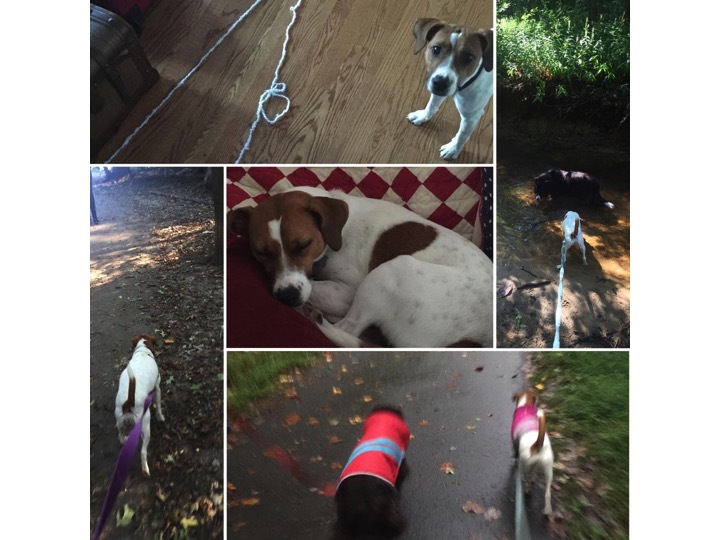 Well it’s walking the family rescue dog ,Sol–a “Jack-a-be”, or Jack-Russell and Beagle combo. The first time my husband and I walked her we were mortified. We had just become “those dog owners”. You know them. You’ve seen them, and when you see them, you wonder, “Who is walking whom?” “Those dog owners” have no control over their dog. You consider turning around to avoid them altogether. It’s comical and scary at the same to time as they approach. Their dog is lunging forward with every step at the end of the leash no matter how long or short it is, huffing and puffing, straining to get to the next thing, zigzagging across the path, whimpering excessively, and barking. If you have experienced it then you can relate to my “Sol experience”. Growing up the same question seemed to always be on the grown-ups minds too. I would get questioned all the time. Should you being doing that? Should you say that? Why didn’t you________? With the follow on question/statement “because what do you think they think about you after_________?” I know the questions all came with the best intentions but they developed a habit I’m still struggling to break. big and small. It led to constantly evaluating and wondering if I was good enough in other people’s eyes. I became entangled in the web of real and perceived expectations in my mind. In our Christian walk it is important what others think of us to an extent. But I can get wrapped up in seeking to please others rather than the Lord. Especially when I worry about what they “might” think. I have been growing in my ability to recognize my fearful thought patterns. It’s a work in progress but day-by-day I am getting more skilled at “taking every thought captive and making it obedient to Christ”(2 Corinthians 10: 5). completely remove this fear from my wardrobe. He wants to refit me with a style that is more flattering for His warrior-princess. inside out. 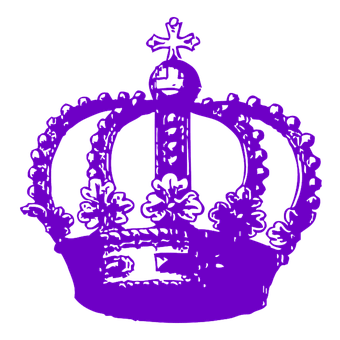 I would be putting on my spiritual garments of praise, robe of righteousness, and crown of salvation to send the message of love and hope found in Christ. My Christ- focused choices will spread His fragrance, thereby providing the opportunity to lead others in the direction to hope in my King. The new decision questions I will be asking myself are: What message am I about to send? Does it give others a glimpse of God’s love? Will it point others to Him? Can it send the fragrance of life in Jesus? How will it speak to those who need a loving God? The way I live every part of my life sends a message. Will I live each part out in such a way that I send a message, giving off a fragrance that points others in the direction of their Creator to discover His love for them? Even in my “Sol experience” I need to turn my thoughts to the Lord. In what area of your life is he offering you a wardrobe makeover? Will you accept the invitation and receive the gift? I’d love to hear about your “Sol experience”. Please pray for Sol and I in our obedience school! I love this! I needed to hear this. Thank you. Glad to hear. Be blessed!